The Raiders are expected to sign former Jacksonville running back Maurice Jones-Drew to a three-year contract today, according to multiple reports. 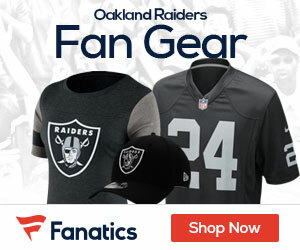 Jones-Drew, an Oakland native, told the Raiders on Thursday night he intends to sign. The former Jacksonville Jaguar figures to have a better chance of starting in Oakland than with the Jaguars. The two sides are close to agreeing on a contract but 29-year-old still must pass a physical exam. “MJD” would compete against Darren McFadden for the starting job. McFadden, the No. 4 pick in the 2008 draft, has failed to play 16 games in a season because of numerous injuries and did not play in three games last year..
Great fit. We’re happy to have him! Also, Pat Sims was a monster in the middle of our DLine last year. I was very much hoping we would keep him. Now that he has signed, it would be real nice if The Nation stood up and gave this man his props. Pat Sims, you are a KEY player on this team. GREAT to have you back! !